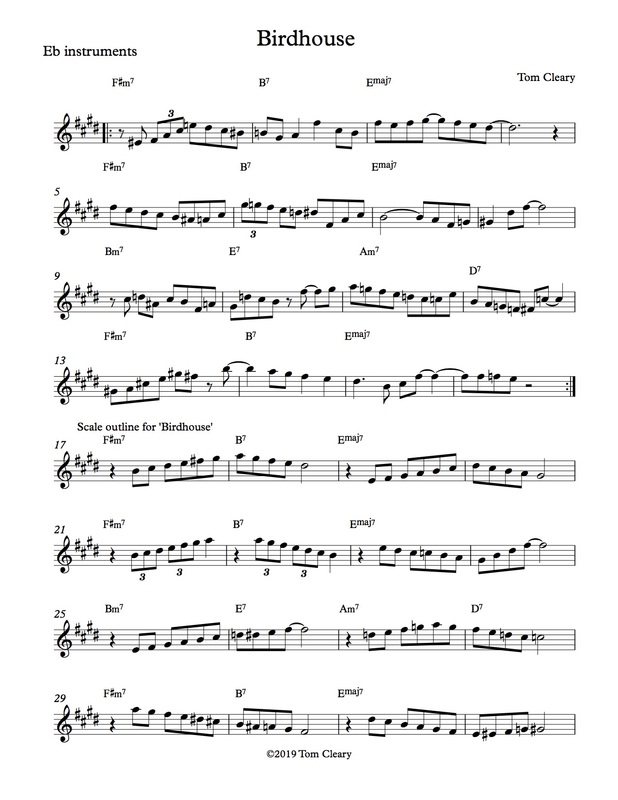 My tune ‘Birdhouse’ (click on the title to hear a recording by my quartet Birdcode) is based on the chord changes of Sonny Rollins’ ‘Pent-Up House’ and is inspired by melodic language from a particular group of tunes and players associated with Charlie Parker. (In addition to the original recording of Rollins’ tune, which can be heard at the link in the previous sentence, interesting versions of ‘Pent-Up House’ have also been recorded by vocalist Sheila Jordan, pianist Hank Jones and trumpeter Chet Baker.) It might have been more accurate to call my tune ‘Bud’s House’, as this group of tunes and players, who I discuss in another post, was associated even more closely with Bud Powell. ‘Birdhouse’, however, has other useful resonances beyond the immortal nicknames of jazz history. As the operator of two backyard birdfeeders, I enjoy watching the arrivals and departures of my avian visitors, and I consider them fellow musicians. 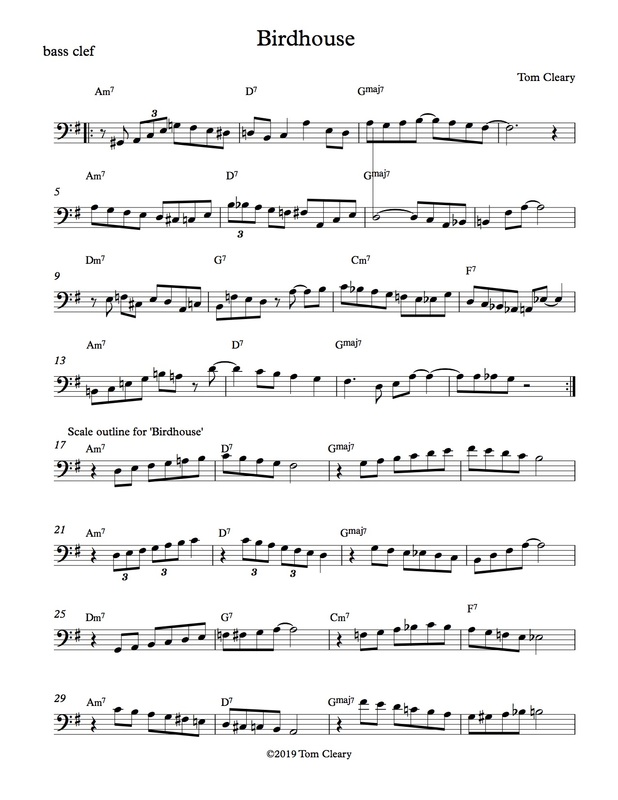 The podcast Birdnote has pointed out that robins, for instance, think like jazz players when they sing, creating longer songs from a large vocabulary of short phrases. ‘Birdhouse’ draws on this tradition of composition which the human musical community and the natural world have in common. 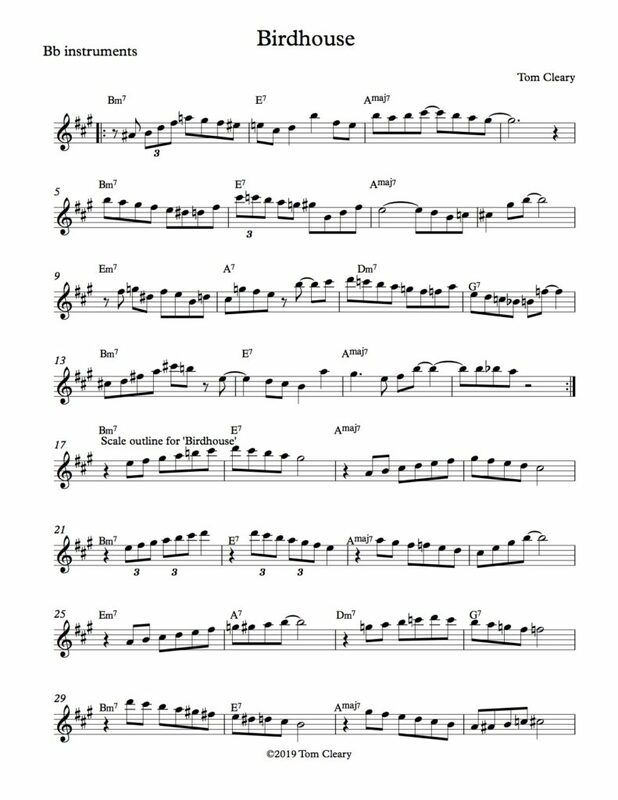 The charts below represent the initial 16 bar theme that is heard at the beginning of the recording by my quartet Birdcode (hear it clicking on the title above) played in unison by my left hand, bassist John Rivers and vocalist Amber deLaurentis. 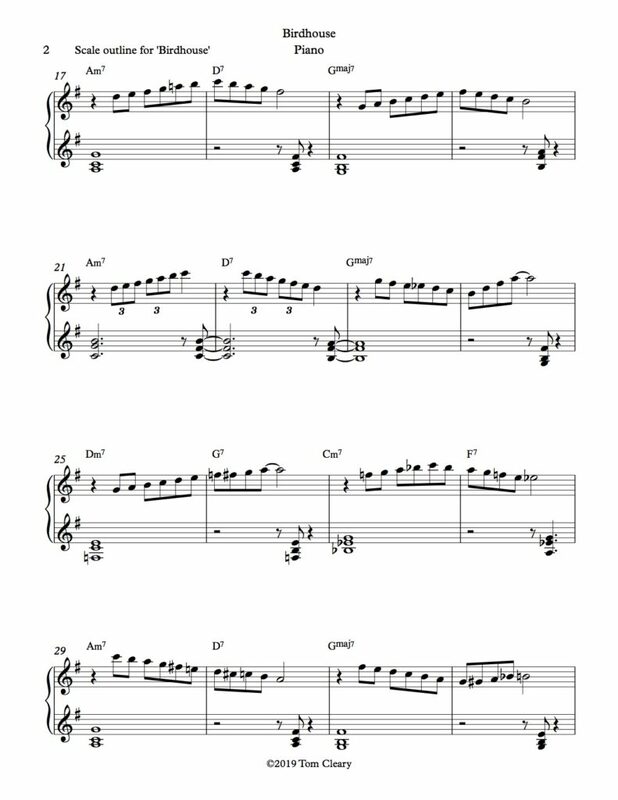 On the recording, this is followed by a section in the style of Bach’s two-part inventions or Charlie Parker heads like ‘Chasin’ the Bird’, where the first theme is repeated by my left hand and joined by a second theme, played by my right hand and also sung by Amber. In my imaginary music video for the tune, this section might be accompanied by footage of wonderful moments like this one where two birds arrive at different levels on the same feeder. 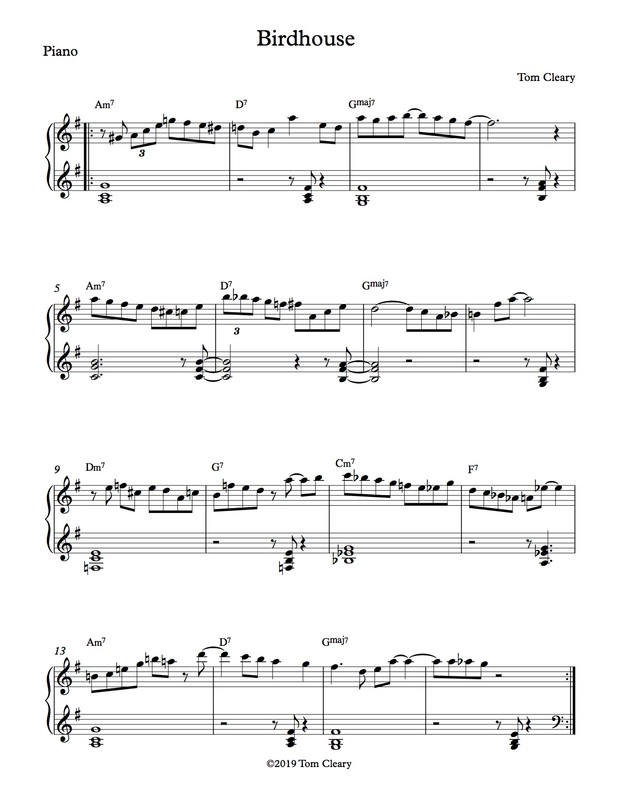 The head out might be described as the same two birds returning to the feeder but switching levels: the second theme is played first by the left hand and vocal and is then joined by the first theme.